What's up Grouse Park blog readers? Jason Macfarlane here to put out content for another season. If you're new to grousepark.com, this is my third season writing for the blog. I am an 18 year old skier from North Vancouver, currently enrolled in my first year of university. This year I am also a part of the Park Crew staff on Grouse Mountain. So I'll be writing about the park, helping to build, maintain and keep it running smoothly. Lack of snow has been a bit of a challenge so far this year, but that doesn't mean we haven't pulled off some good features. The Park Crew have worked hard (which hasn't been me so far so I can't take credit for this) and have put together an awesome line of rail features in The Cut park. 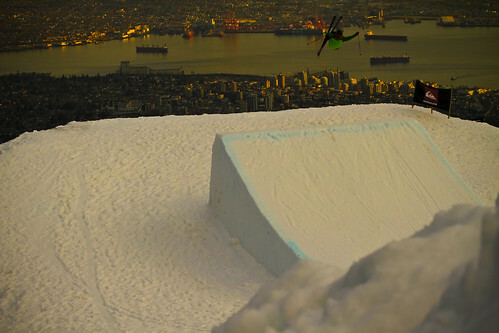 Jam packed, it is probably one of the jib parks with the best flow the mountain has ever seen. Recently, Trint Thomas and I spent a few hours in the sun shooting some pictures and video clips. Here's one of my favourites from that day. The Cut Line is fun and the GoPro's are out. My first post and first year with the Grouse Park blog. 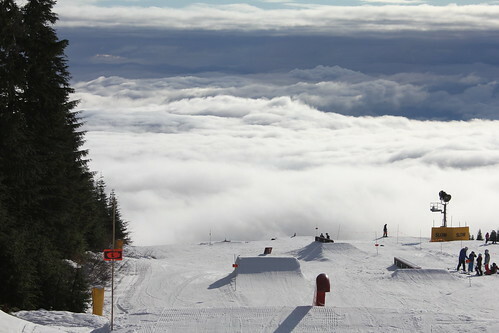 I am excited to be contributing and riding up at Grouse Mountain this season. 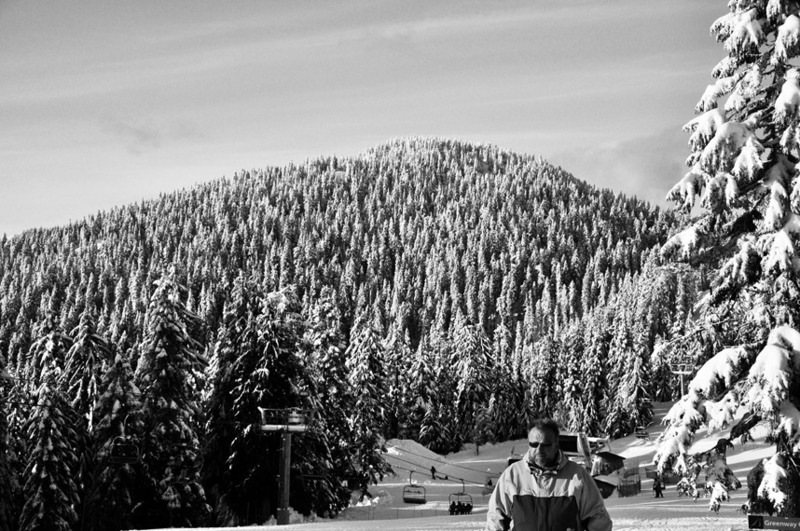 Some background info on myself: snowboarding for over eleven years, blogging for about six and living in Vancouver for almost two. An enthusiast of all things culture, I plan on adding a fresh perspective and some frequent content to the blog — from 'day in the park' to product reviews, it's going to be a fun season. Clouds covered the city, but that wasn't the case for Grouse. Check out some shots taken on Sunday. Nose Press on the new 32' Flat box. 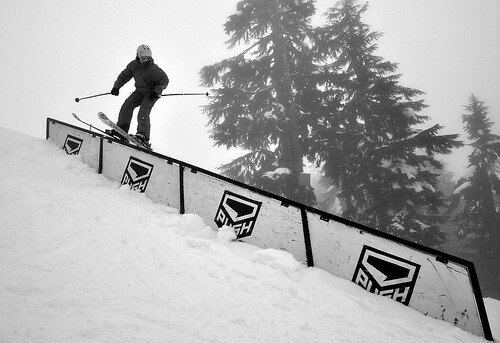 Cut line is sweet right now with new features including a Down C-rail, Down Flat Down Flat Rail, 32' Flat Box, and more! 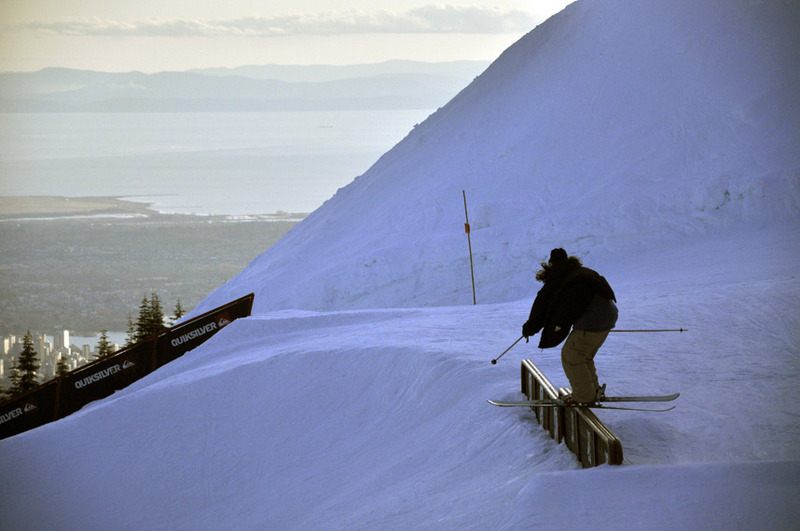 Click here to get full park conditions. 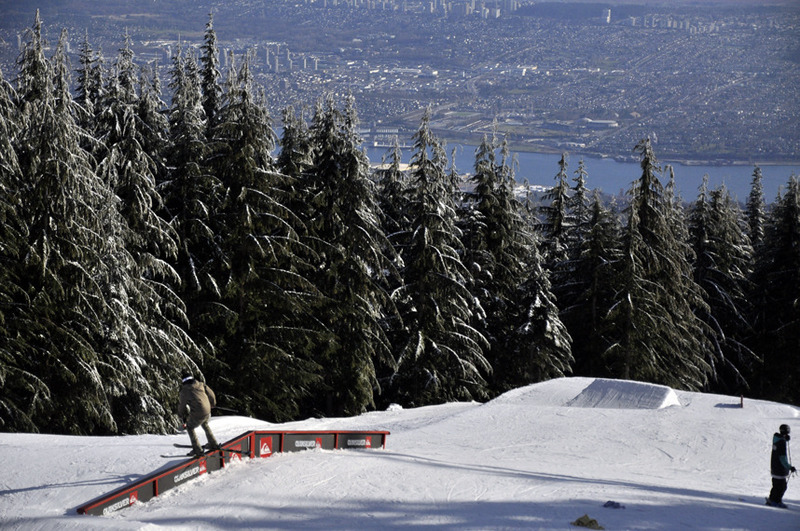 This last weekend marked the annual Showdown Over the City at Grouse Mountain. In past years Showdown has been more of a Big Air focus competition. But this year, with the change in venue from Lower Peak to the Cut, the course ended up being a legitimate multi-feature slopestyle instead of a one jump wonder. After the competition was over park crew Rob was kind enough to open up the jumps for some friends to get down on. Here's some shots from the competition and the after-sesh. One more thing, big ups to Shayan for placing top 10 in the pro division, held his own against some big names, congrats man. Hey grouse, I am by no means a photographer but I decided to give it a go the other day. Here is what came out of a sick session with Tomas Smyth, Jonah Boretsky and a few others. It only got better when Bill Hawley rolled up whipped out his cam and as always managed to get some wicked shots. I'm sure you've seen some of his photos floating around the blog, if not you can check his flickr and his blog... Next time you see him on the mountain say hi and jump in on one of his shoots, who knows you might have a new profile pic! The cut jump line daswasup. As most of you already know the new jump line is beyond amazing. I've been lucky enough to get lots of shredding in lately. My buddy Ryan Hirakida brought his camera up the other day, unfortunately the fog had rolled in just as we arrived, but that did not stop him from getting some great shots. Check it out! Stay tuned for some new edits coming out soon. Shop Guy of the Week! Hey Gang, Yours truly made it onto the Rome Snowboards site as SHOP GUY OF THE WEEK! Stoked! 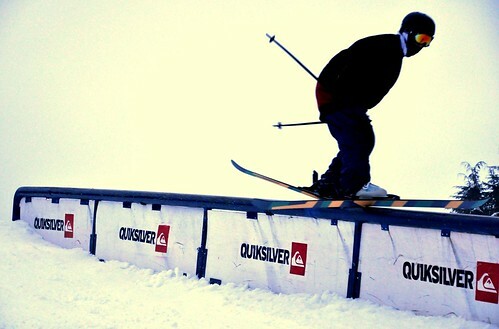 Hey all, My name's Dylan Gillespie and I'm super stoked to be one of the Grouse Park bloggers for this season! I've been skiing Grouse all my life, and got into the park/freeski scene a few years ago, though I love doing anything with skis on my feet. I live really close to Grouse, so you can be sure to see me lapping the park on weekends and after school. If you see me, stop me and say hi! I'm usually wearing a orange jacket or black hoody, and blue pants. I always enjoy meeting someone new and spining laps with another stoked rider! 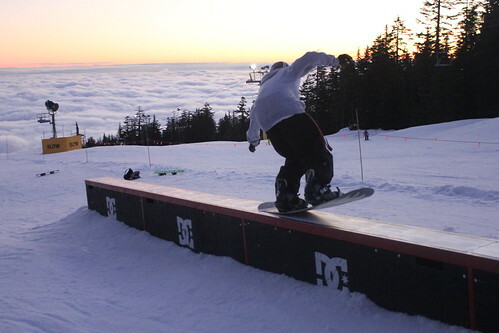 Now overall, the weather's been pretty good this season which has let the Grouse Park Crew put together an AMAZING park setup, week after week. Add a bunch of new and improved features for them to work with, and you've got one of the best parks Grouse has seen in a long time. So be sure to get up there as soon as you can and check out either the Quiksiver Park or the Paradise Jib Park, both of which are sweeeeet right now. I will be posting numerous edits, photos, and videos thoughout the season, and you can check those out on my Vimeo page and my Flickr page (which shall be set up with content in the near future). In the mean time, here are a couple of my favourite photos from my past season. I'm not going to sit here and claim I'm any good at photography, because I'm not. I'm really hoping to improve this year, because right now, I can't tell the differance between f-stop and flash sync. But very, VERY rarely I can sometimes click the shutter button on my Casio point-and-shoot at the right moment, which I was luckily able to do here. That's all I got for now guys, but keep checking back for more great updates from me and my fellow bloggers.